Playing card games has always been a great pastime in the Indian subcontinent. Games like Teen Patti, Ace, Bluff, Dehla Pakad has been always popular in India But one game that is extremely popular in India has been Indian Rummy game. The popularity owes to the fact that most of us are already familiar with Indian Rummy game. Also called as Paplu, Indian Rummy game is considered as a combination of Rummy 500 and Gin Rummy. And it offers equal fun if not more. Now–a-days because of the easy availability of Internet, people have resorted to playing online games in large numbers. No longer do people have the time to play offline games. The advent of online gaming has given them the comfort of bringing wholesome fun and entertainment right at their homes. The much loved card games like Indian Rummy game and Teen Patti are now available online. We have all grown up playing rummy card games in our childhood with our friends and families. 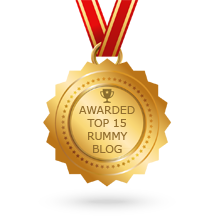 In fact, Indian rummy game has a rich history in India. The custom of playing rummy during family get-together and during festivals like Diwali. Playing and winning card games during festival is considered to bring in good fortunes according to a popular Indian mythology. These days we hardly have the time to meet up with friends to enjoy the game. Thanks to arrival of online rummy sites, we now can enjoy the game at the place where we are. Online rummy sites allow upto 6 players enjoy the rummy game in a table. Also, players have the luxury to try out different rummy variants like Points Rummy, Pool Rummy and Deals Rummy which is not possible while playing the game offline. You will certainly be overjoyed in a site like Deccan Rummy with its exciting offers and promotions. 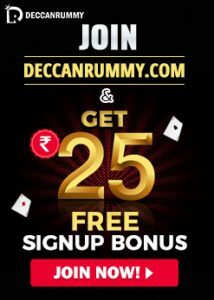 Every month a user will receive a host of bonus offers at Deccan Rummy like Monthly bonus and weekly bonus. This February, the users can take advantage of our monthly Bonus offer and a range of bonuses under Deccan Bonus Bounty every week. 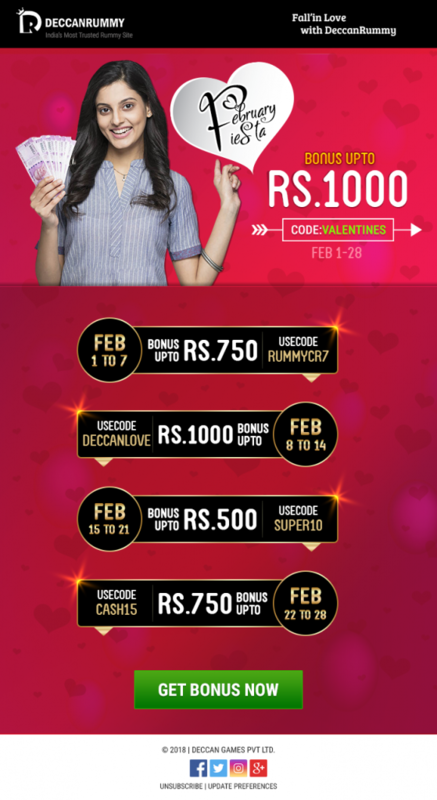 Celebrate this month of love with a magnificent rummy bonus offer. This February we have undertaken the mission of spreading love to all rummy players. And our first step in doing so, is by offering them some lovely bonus offers. 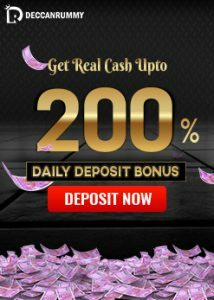 Get 20% Bonus up to Rs. 1000 with this exciting February Fiesta offer. Use the code “VALENTINES” while making a deposit. The offer is valid from Feb 1 – Feb 28. Hurry! Deposit now! Deccan Bonus Bounty has been a permanent bonus feature of Deccan Rummy. Designed as an incentive to players to add more sheen to their game, it has found massive popularity among our users. This month users can avail a mammoth 60% bonus on their deposits with this exciting offer. Spread over weeks, Users can earn upto Rs. 3000 with this exciting bonus offer. Players are going gaga these exciting bonus offers which provide an exciting opportunity to them to boost their bankroll. Gear up to make a deposit and avail these bonuses rightaway! This is the best time to be a part of the action! Win GalaxyS9 by topping our weekly leaderboard race!